I left my comfy home with cable t.v. and internet two weeks ago. Since then, my iPhone has been my constant companion...until tonight...about 9:30 p.m.....when the cable company was finally able to patch up service to our new home. I am so happy to be back to the blogging world! Same old furniture, but in a beautiful new setting. Actually, the pair of paisley recliners were in the sitting area of the master bedroom at our old house. I have ordered two white slipcover chairs to replace them in our new master. I am looking forward to changing the accessories, but delighted at how well our old furniture blended into this room. 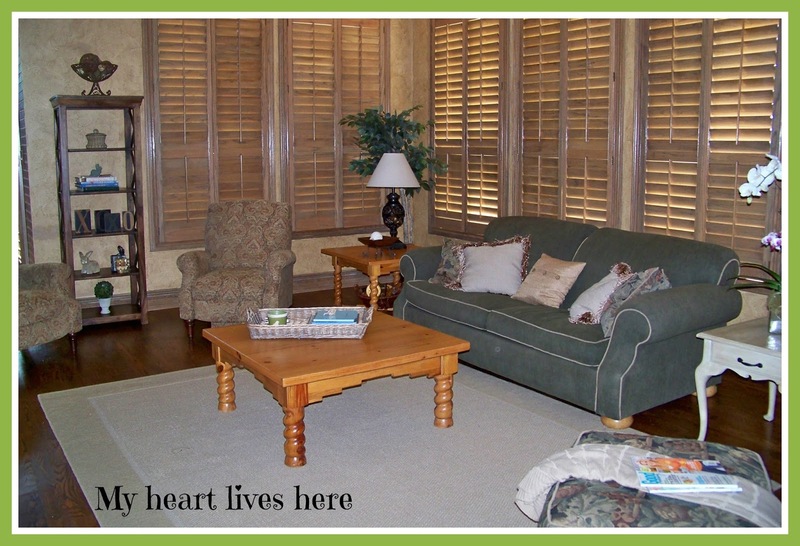 I love all those shutters!!! Pretty room - you put it together so quickly! Thanks Suzan! 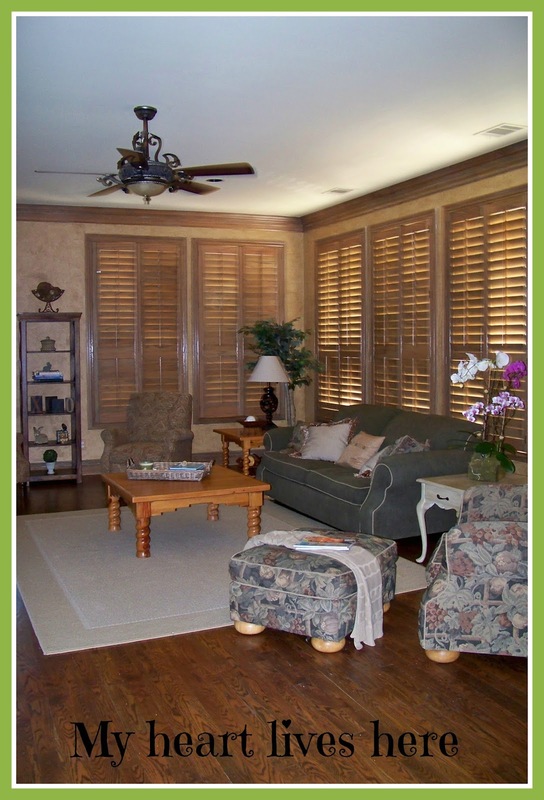 I love the shutters and they really help when the sun hits those windows.